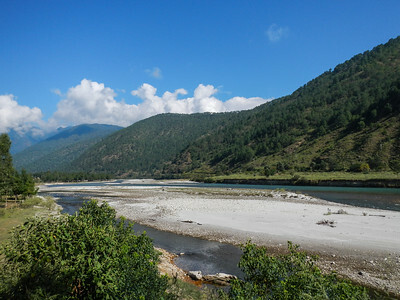 Sankosh River - Punakha, Bhutan. 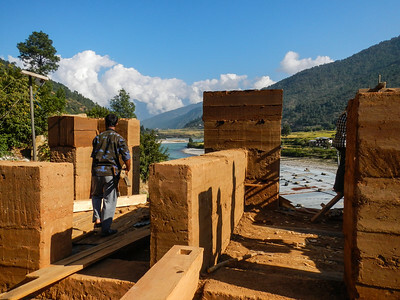 Rammed earth construction, along the Sankosh River - Punakha, Bhutan. Checking out bags of straw. 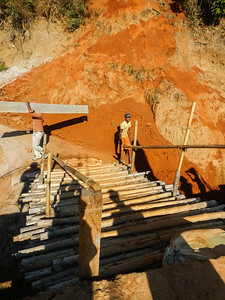 Used to reinforce the mud used in rammed earth construction. Sankosh River - Punakha, Bhutan. Carved wood frame window. Integrated into the rammed earth construction. 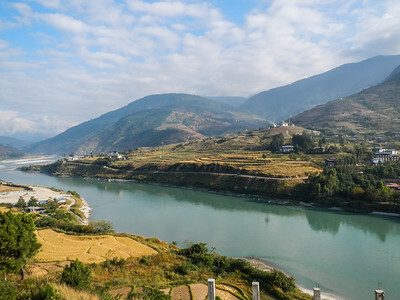 Sankosh River - Punakha, Bhutan. Hand constructed bamboo stairs. 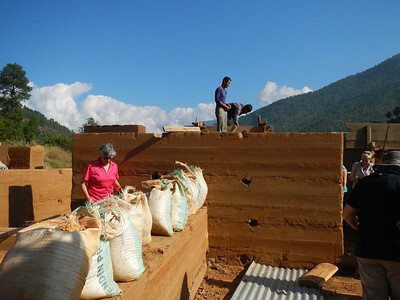 Rammed earth construction, along the Sankosh River - Punakha, Bhutan. Along the Mo Chu River. 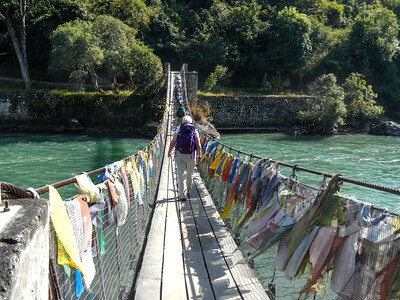 Hiking to the Khamsum Yulley Namgyal Chorten. 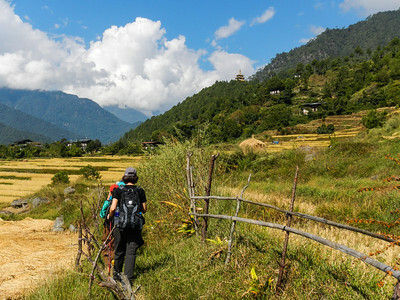 Punakha Valley, Bhutan. Rice fields along the Mo Chu River. Khamsum Yulley Namgyal Chorten sits in the hills (right). 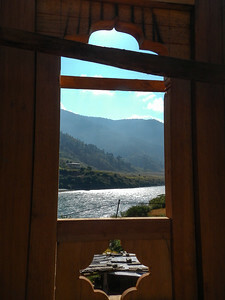 Punakha Valley, Bhutan. Pathway cut through the center of the hill children use to get to school. Talk about exercise. 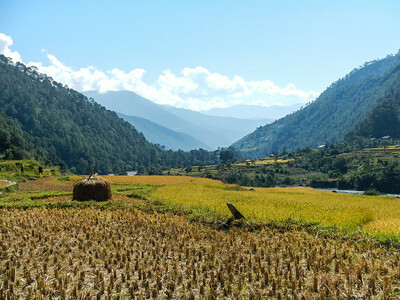 Punakha Valley, Bhutan. 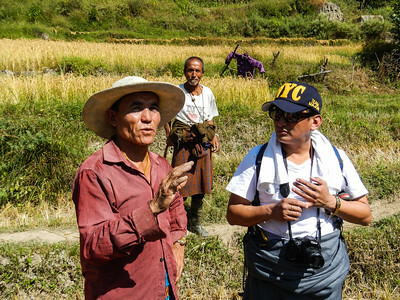 Walking through the rice fields. 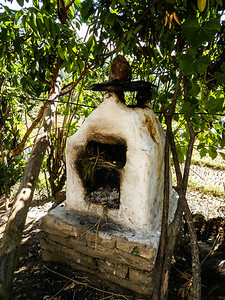 Khamsum Yulley Namgyal Chorten. 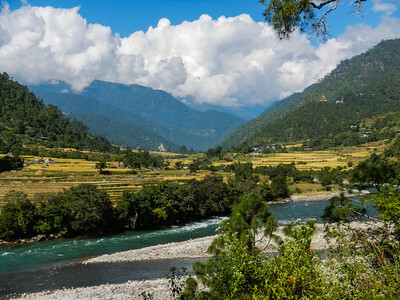 Punakha Valley, Bhutan. 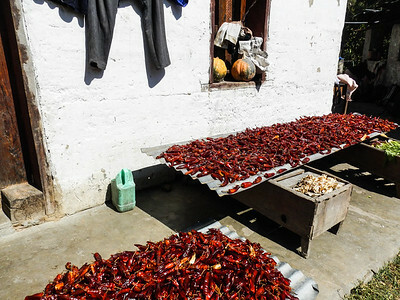 Air drying at a farm house in the valley below the Khamsum Yulley Namgyal Chorten. 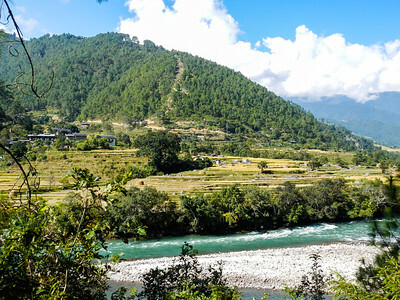 Punakha Valley, Bhutan. 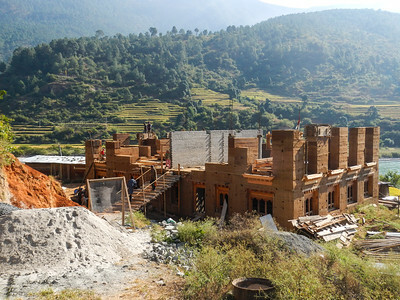 Farm house - Punakha Valley, Bhutan. Bales of straw out to dry. 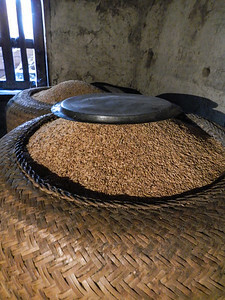 In winter months bales are stored in the open air space above the living quarters of the house providing insulation. 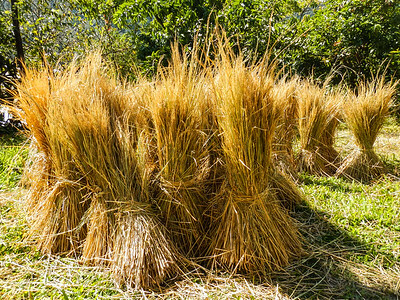 Farm house - Punakha Valley, Bhutan. 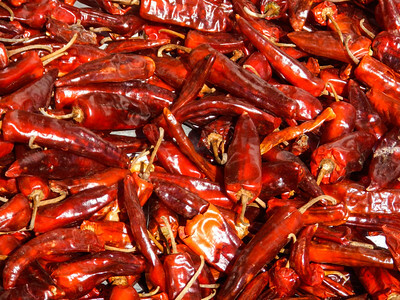 The first level of most houses are used for bedding animals and/or storage. Farm house - Punakha Valley, Bhutan. 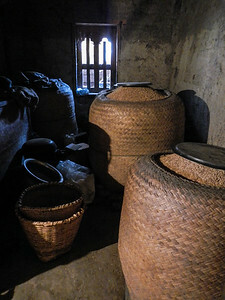 Hand woven baskets and rice. Hot plates inside, oven outside. 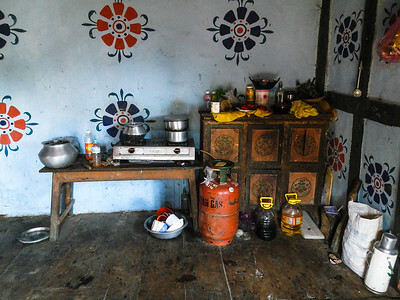 Farm house - Punakha Valley, Bhutan. We were invited in for tea and rice snacks. Farm house - Punakha Valley, Bhutan. Filled with carved wood and colorful paint. A very welcoming room. Farm house - Punakha Valley, Bhutan. There were 15 of us. 15 more than he could deal with. Farm house - Punakha Valley, Bhutan. Hot plates inside, oven outside.